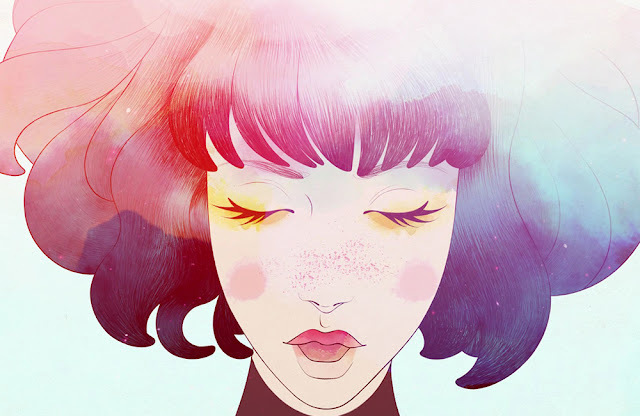 Gris is one of the most beautiful games ever made. This much was clear when it was first unveiled earlier this year, but to actually play it and see everything in motion is an utter delight. 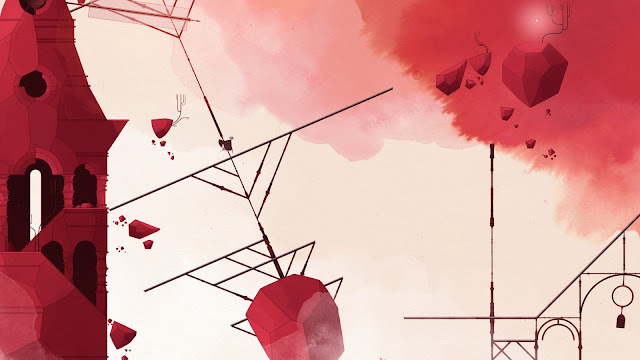 People often liken games to "a painting in motion"—hyperbole, most of the time—but in the case of Gris, it fits. With a surreal landscape composed of watercolours and clean lines, the whole game has the look of an abstract poster. And then it all springs to life as soon as you move, with a wealth of personality hidden in every hand-drawn animation, be it the way the titular heroine's dress and hair flap in the breeze, the way the foliage of square trees fold in and out of existence, or the way giant clockwork contraptions wind back and forth. This is no surprise, considering that artist Conrad Roset is both the lead artist and creative director. His use of watercolour palettes and delicate linework give his works a look that is both fragile and powerful. Gris is no exception, and if you'll forgive the cliche, it really does look like a painting in motion. That's appropriate for a game that seems, based on my first couple of hours with it, to be an allegory for depression. Without so much as a word, the opening moments build an image of a young woman falling into a pit of despair, her voice snatched away from her and colour drained from her world. So begins your journey, as the eponymous woman, to bring colour back to the world. 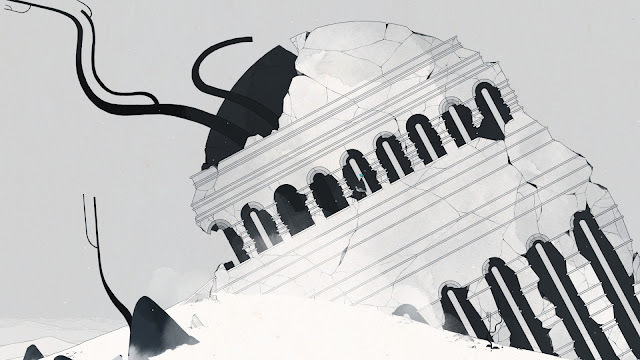 Though free from danger—there are no enemies in Gris, nor any possibility of falling to your doom as you normally would in a platformer—a sense of sorrow pervades the decrepit buildings and crumbling statues that dot the landscape. Oftentimes, you'll have to trek across a sparse expanse between puzzles while the moody atmosphere and emotive score wash over you. But as you start to restore colour and gain new abilities, the seeds of hope start to grow. Pushing forward against a strong wind, carefully dashing between cover during intermittent quiet spells is an age-old trope of platformer level design. An early part of Gris is much the same, but it's not long before you gain the ability to turn your dress into a heavy cube, holding fast against the gusts even without shelter. And, as anyone who's dealt with depression will know, sometimes it's all you can do to hold your ground while the world tries to buffett you around—and that, in itself, is an achievement. Reaching certain landmarks results in another layer of colour coming back to the world, and with it, a renewed sense of life for the world. Red brings with it a dusty wind that springs the world into action, setting windmills and clockwork contraptions into motion. With green, those aforementioned crumbling buildings give way to trees and shrubs, and little critters dart about in the undergrowth. The puzzles themselves are more typical puzzle-platformer fare. You'll find yourself navigating moving platforms, acting contraptions, and searching for little orbs of light that can spawn new walkways to cross. New abilities like a double jump let you move about in new ways and add new layers to the puzzle design. By design, the main puzzles tend to be fairly easy—after all, Gris is focused more on taking players through an emotive journey than on stumping them with obtuse puzzles. For those players who want more of a challenge, though, there are plenty of collectibles hidden behind much more dastardly puzzles. 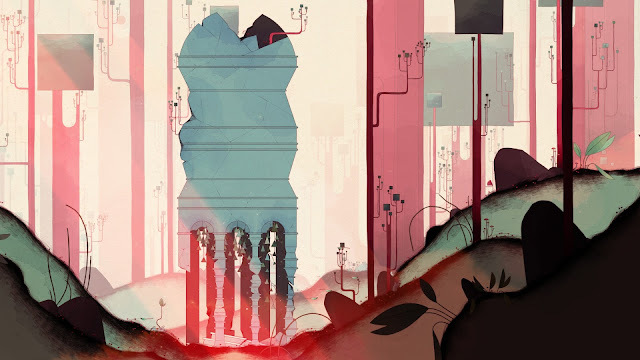 From what I've seen so far, Gris is something special: a thesis on depression, as seen through a blend of familiar puzzle-platformer design and an absolutely gorgeous art style. This is definitely one to keep an eye on when it launches next month. Item Reviewed: Preview: Gris (PC) 9 out of 10 based on 10 ratings. 9 user reviews.